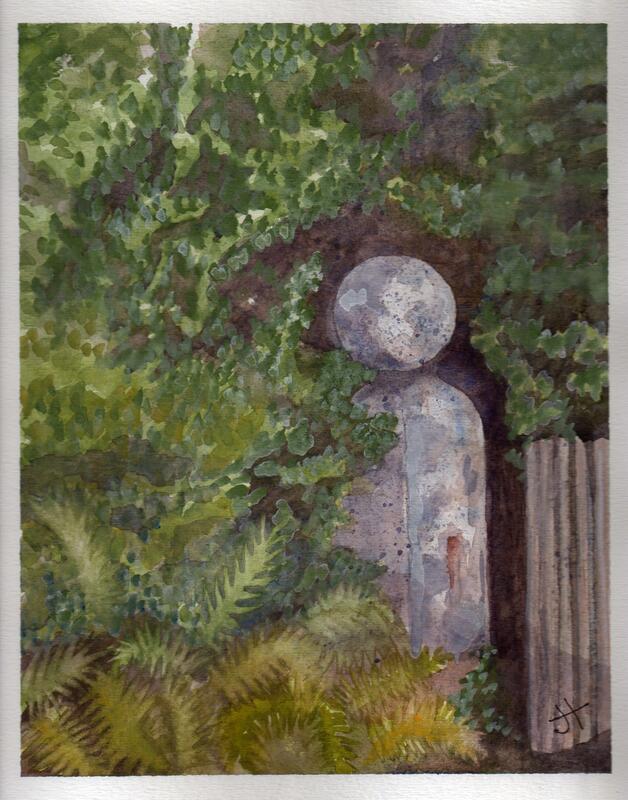 Looking through my watercolours, I came across the painting below of a gatepost. I painted this during my virtual excursion through Cornwall, using Street View and Google Earth. The painting reminds me of how much fun I had, painting the scenes I discovered on my virtual journey. I am still using Street View to motivate my exercise program – since last year, I have been following the Saint John River from its origins in Quebec and Maine. My goal is to ‘cycle’ the length of the Saint John River, all the way to where it empties into the Bay of Fundy. Gateways mark change. They represent movement from one space to another. They can be entryways. They can also be barriers. The challenge is always to step through that gate and keep on going. Lovely picture and poem. Until I read this I hadn’t thought about how gates can represent (depending upon the lens) very different things.- entry ways, barriers, change.